Leila from Syria has been through a lot. She was married off as a child, suffered through war, fled her country and was left with a burnout. But thanks to the support of our partner organisation Kafa, she regained the will to live. Today, she supports other women going through what she went through. Kafa’s women’s centre is located in an apartment building in the Bekaa valley in eastern Lebanon. It is abuzz with activity: here, women can get an education and psychological support, regardless of their background. 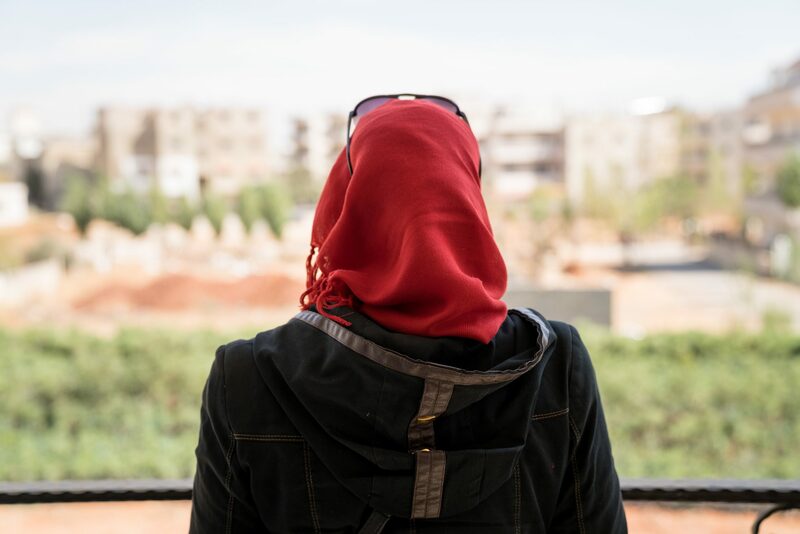 One of those who turned to Kafa for help is 39-year-old Leila (not her real name) from Syria. 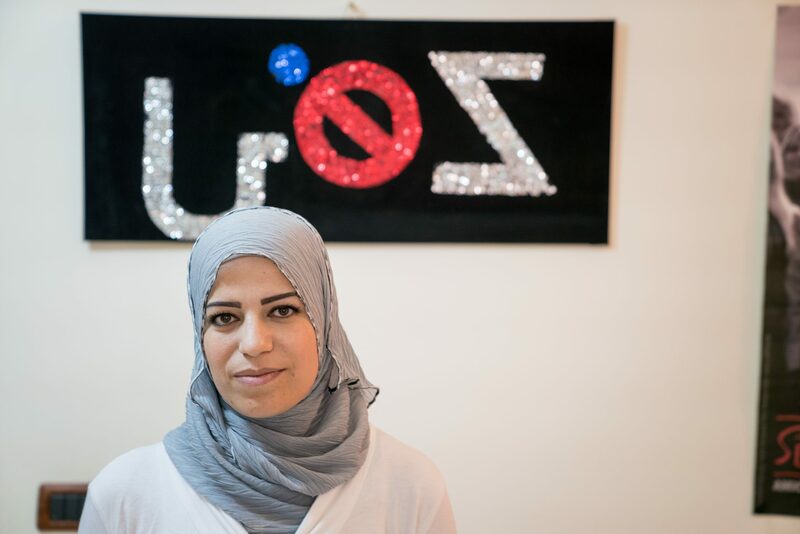 She fled to Lebanon three years ago, as bombs rained down on her home town. “I lost my husband in Syria, so it was just me fleeing with our five children. The journey completely exhausted me, and I was already traumatised by the war,” she recounts. Leila has three daughters and two sons. Two of her daughters have received support at the Kafa centre as well. “In the beginning after we arrived in Lebanon, my youngest would often wet the bed at night. Now, she’s stopped doing that. The children are doing much better now, thanks to Kafa’s efforts for children like them,” says Leila. Leila rents a home for herself and her children, so she has to find ways to support herself – which can be difficult as a woman and refugee. For a while, she worked as a domestic helper, but she was harassed by both the father and the son in the family she worked for. The situation got so bad that Leila had to quit her job. “During our first year in Lebanon, the UN helped us out with food. Now, that support has stopped,” she says. But Leila has now found another way of earning an income, as she is part of one of Kafa’s projects for women refugees. The project coordinator, Hind, describes how about thirty women are part of the initiative. Kafa estimates the project will reach approximately 3 000 women. “I’ll be informing other women about various ways for them to get an education and find work. I’ll also talk about issues like child marriage, gender-based violence and health, or other topics the women would like to discuss,” says Leila, who will conduct info sessions around the Bekaa valley. Leila explains how violence against women is a widespread problem both in Syria and in Lebanon. Leila tries to take part in all the activities Kafa organises. She particularly enjoys their yoga classes. “I feel good at the women’s centre and have learnt so much here. I feel so grateful for that,” she smiles. Through its two women centres in Beirut and Bekka, Kafa supports women who have been subjected to violence. The organisation also runs a shelter for victims/survivors of abuse. Beside this, Kafa works to increase awareness of and access to information about gender-based violence, prostitution and trafficking.